I work with schools throughout Buckinghamshire and Berkshire. I offer a selection of mindfulness courses and packages which can be delivered to whole classes or to smaller groups of students with particular needs. I am also happy to discuss the individual needs of your school and to provide a service to meet those needs. Mindfulness is a practical skill like being able to ride a bike or play the piano. Learning mindfulness helps children to be more aware of their thoughts and emotions. It also helps children to recognise how these thoughts and emotions shape their behaviour. 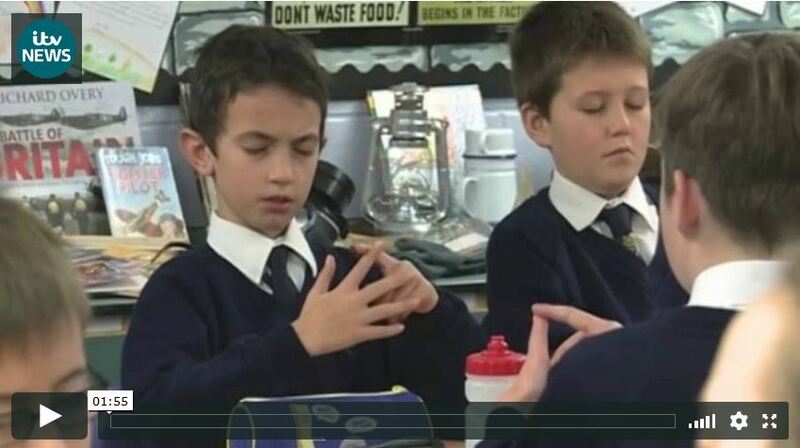 Through simple mindfulness exercises, pupils learn to find a quiet place inside themselves. This steady place inside becomes a support when they get distracted or when life feels challenging. Mindfulness skills can help pupils when they feel angry, scared, sad or worried. Ensuring that difficult emotions and thoughts do not take over their day or their behaviour. Learning mindfulness also explores the importance of ‘growing happiness’. Pupils learn how to appreciate and savour good moments so that they build resilience and a robust sense of well-being. provides practical skills for pupils to use in the classroom, playground and at home. Each of the six lessons is accompanied by a PowerPoint presentation using striking visuals, film clips and activities to enable pupils to understand how mindfulness can help them to train their minds to concentrate better, make good choices and do their best. Click here to watch a 2013 Paws.b lesson in action and hear what the children and teachers have to say about the benefits. Click here if you would like to read fuller details of the impact data of the Paws.b course on children’s concentration, relationships, performance and tests and exams. Each of the eight lessons is accompanied by a PowerPoint presentation using striking visuals, film clips and activities to enable pupils to understand how mindfulness can help them to train their minds to concentrate better, make good choices and do their best. Click here to hear students and teachers talk about the benefits of the .b mindfulness course. What are the benefits of the .b mindfulness course?